In one anecdote, Duff arrives early at Ransom’s home to drive Warren to the airport, hoping to steal a few extra minutes in the company of both great men. 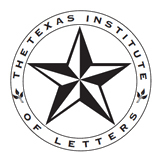 On a different occasion, driving down Thompson Lane with Lytle in the passenger seat, he slows the car so as not to arrive at his destination before Lytle finishes telling his story. Read David Madden’s review at the Southern Literary Review website. Read “All the Fugitives’ Men” from Chapter 16. Gerald Duff’s Fugitive Days is available for just $0.99 for Kindle, Nook, iPad, or your favorite ebook device. Duff’s novel Coasters and his short story collection Fire Ants are also available in hardcover and ebook. Gerald Duff is a writer, a professor, and he is also a collector. Over the years, he’s amassed an unusual collection of meetings with the Vanderbilt University poets known as the Fugitives. In Fugitive Days, Duff recalls these chance encounters with such literary figures as Robert Penn Warren, John Crowe Ransom, Allen Tate, and Andrew Lytle. The Southwest Review originally published an earlier version of Fugitive Days and Poems.com named it their “Prose Piece of the Week,” and now Fugitive Days is available from NewSouth Books in all ebook formats. In his meetings with the poets, Duff finds the humanity in each — some approachable, some remote, some lost in the wilds of age or overshadowed by their own legends. Duff and his readers take away with them new understanding of what writers-as-fugitives gain and sacrifices in pursuit of their craft. 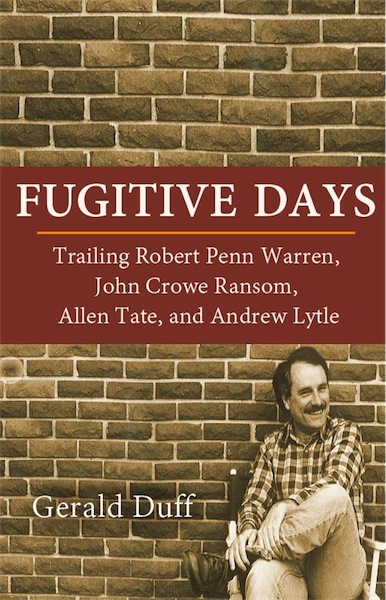 Fugitive Days is available now for the Kindle, Nook, iPad, or from your favorite ebook store. You are currently browsing the archives for the Gerald Duff category.